An analysis of more than 160,000 student records filed Friday in federal court in Boston shows Harvard consistently rated Asian applicants lower on "positive personality," likability, courage, kindness, and being "widely respected," the New York Times reported Friday. Harvard documented its bias against Asian applicants in 2013 in a series of internal reports, but the university ignored the findings and never publicly released them. 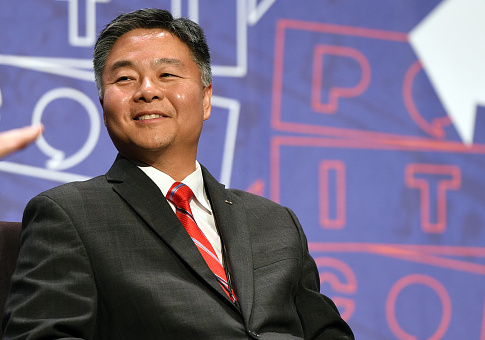 Lieu, who was born in Tawain and immigrated to the U.S. as a child, did not take kindly to the findings revealed as a result of the lawsuit. He said he was sure Harvard was lying about its admissions policies not being racist and chided the school for ranking Asians as have worse personalities. Dear @Harvard: Your admissions policies against Asian-Americans are racist. Take your "personality trait" crap and shove it. How's that for "courage." Lieu acknowledged universities can use race as a factor in admissions, citing the Supreme Court case Fisher v. University of Texas. The congressman argued what Harvard did here was unique, and wrong, for the university attributed personality traits based on race to Asians. In Harvard's admissions approach, Asians scored higher than applicants of any other racial group on test scores, grades, and extracurricular activities, but their personality ratings significantly dragged down their chances of being admitted. The suit against Harvard, brought by Students for Fair Admissions, alleges the institution imposes what is in effect "racial balancing" to keep the number of Asian students artificially low while advancing less qualified white, black, and Hispanic applicants. This entry was posted in Politics and tagged Affirmative Action, Harvard, Racism, Ted Lieu. Bookmark the permalink.